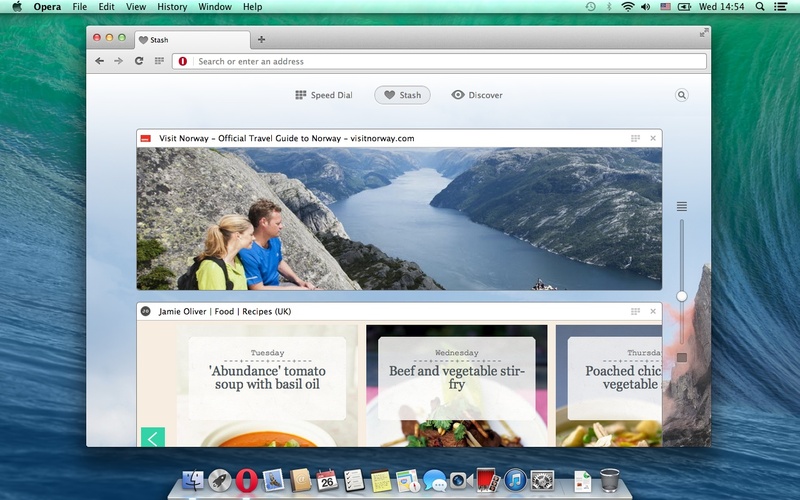 The Norwegian developer Opera Software, best known for its awesome Opera browser others ripped off wholesale, back in January announced it was dropping its proprietary Presto rendering engine in favor of Chromium. 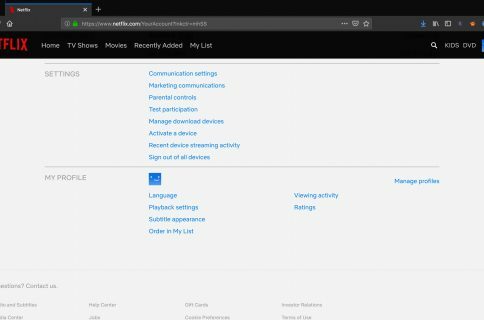 “The new Opera for Windows and Mac runs on a Chromium engine, so you can access all your websites in a blink of an eye and have a smoother experience when you get there, thanks to improved site compatibility,” Opera’s press release has it. In addition to the Chromium engine, the browser includes the enhanced features Opera fans have come to love over the years. Speed Dial, for instance, now lets you create folders to organize your frequently-accessed websites and you can search across your Speed Dial entries, too. The new Stash feature takes the pain out of web research by allowing you to collect snapshots of saved web pages in one central place. You can resize each thumbnail to give you a preview of each page. Have a look at Opera’s video tour embedded below. 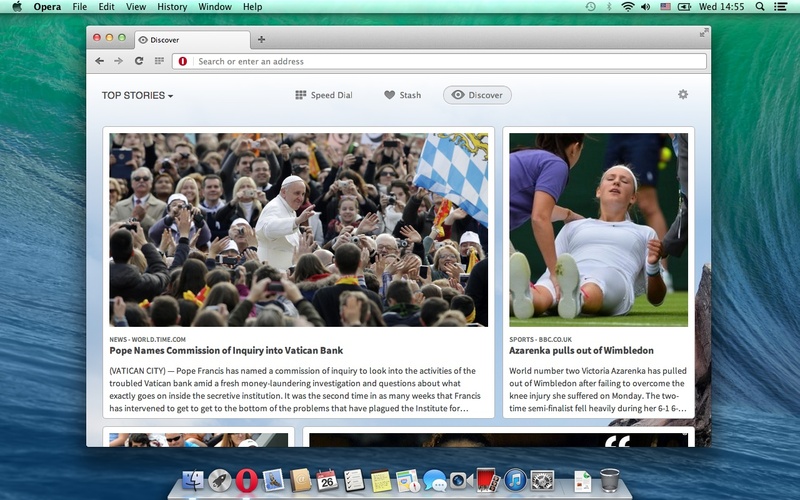 Other notable features include the Discover feature which curates top articles from custom locations in one place (i.e. food recipes, travel destinations, top news headlines, stuff like that). And if you’re on a cellular or metered connection, Opera’s Off-Road feature will come in handy, basically a server-side engine which compresses web pages in order to conserve bandwidth and load your websites faster. 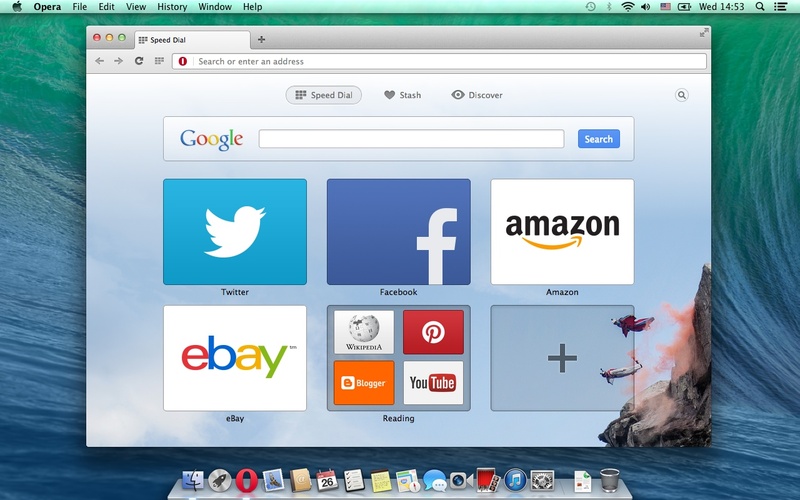 You can download Opera 15 for Mac or Windows here. For those not in the know, Chromium began with the industry-standard WebKit, which is notably used by Google’s Chrome, Apple’s Safari and a bunch of other browsers (sans Microsoft’s Internet Explorer which relies on its own Trident layout thing). However, Google in April decided to fork Chromium into its own Blink project, itself based on WebKit. Strangely enough, the Internet giant defended the move by arguing the change would pave the way for a rapid deployment of new Chrome features not possible with WebKit. 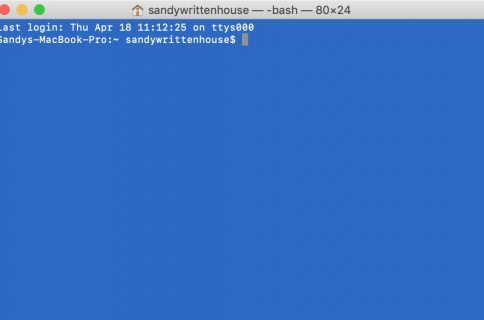 “Chromium uses a different multi-process architecture than other WebKit-based browsers, and supporting multiple architectures over the years has led to increasing complexity for both the WebKit and Chromium projects,” Google said in a blog post. The move prompted concern that web developers will have to support will have to support yet another rendering engine. “We know that the introduction of a new rendering engine can have significant implications for the web,” it wrote. Apple of course continues to use WebKit for desktop and mobile Safari.